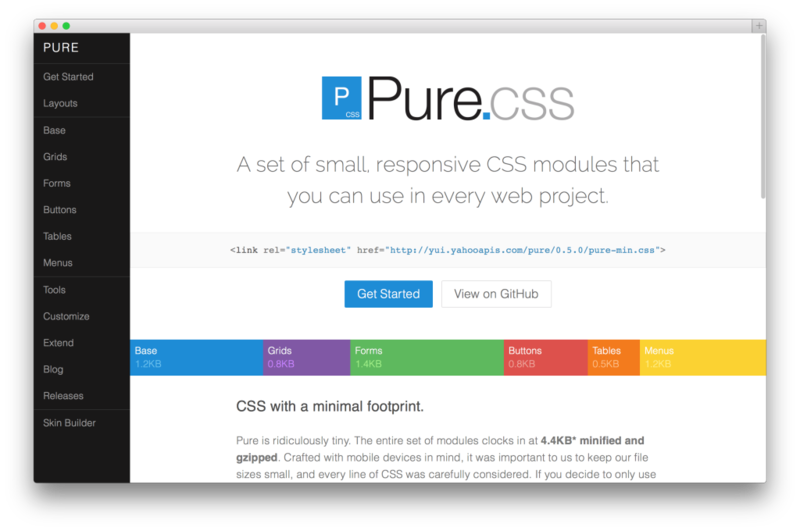 Pure is a minimalistic, highly customizable CSS framework with minimal footprint created by Yahoo. It looks wonderful! 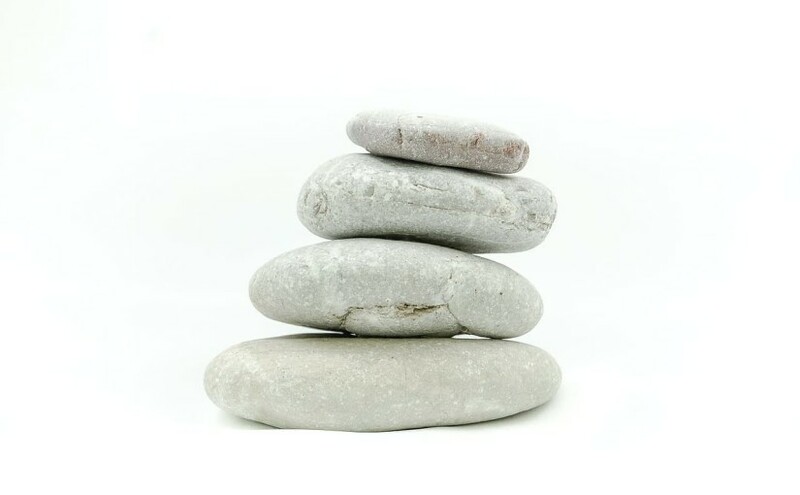 It provides normalization, grids, forms, buttons, tables, and menus. The whole framework is 4.4KB (minimized and gzipped), and you can even make it smaller than that if you select just the components you need. One distinguishing feature of Pure is its grid system: it’s very flexible, does not require “clean divs”, provides 5ths-based and 24ths-based units, and has two variants: normal and responsive. 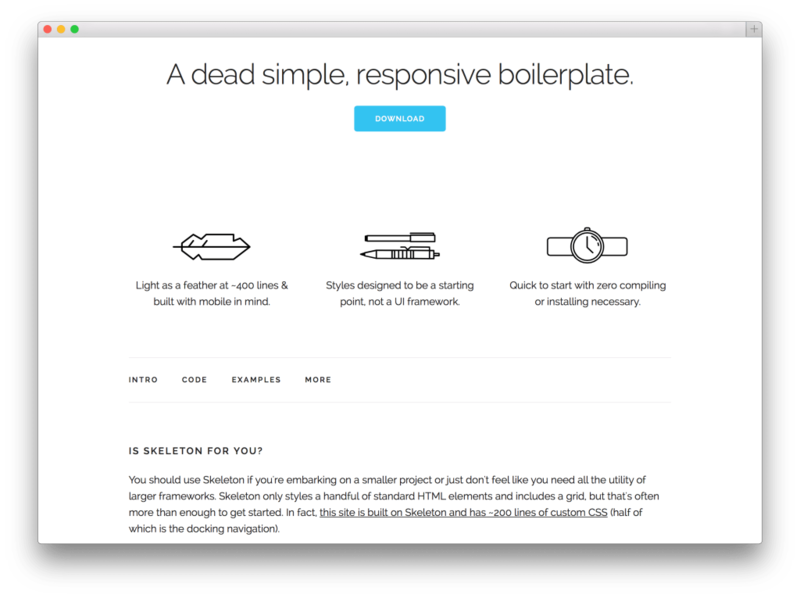 Skeleton is described as “a dead simple, responsive boilerplate”. 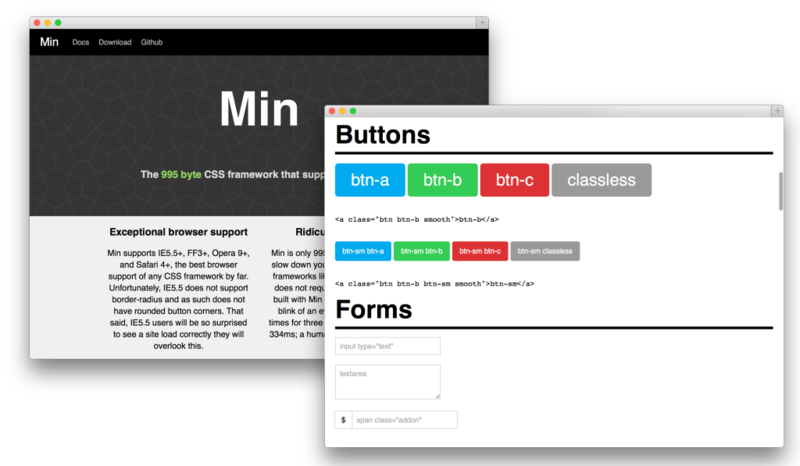 It provides a 12-column grid, beautiful typography, buttons, forms, and tables. Skeleton is around 6 KB when gzipped together with normalize.css. It even has “icons”, which are really just Unicode glyphs. Clever! One complaint: typography and spacing are too harsh for my taste.